Yoga with Melissa is on your crown chakra and the archetype of your higher self. 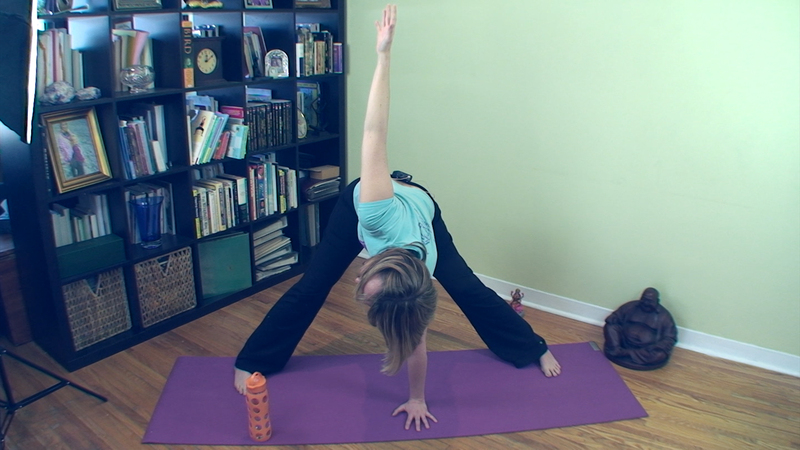 This is the final hatha yoga class in our special series on the chakras and their archetypes. Your crown chakra has to do with beauty, spirituality, and your connection with the Divine Source. In this hatha yoga, chakra yoga class we will focus on connecting with your Higher Self through yoga asana or yoga postures. 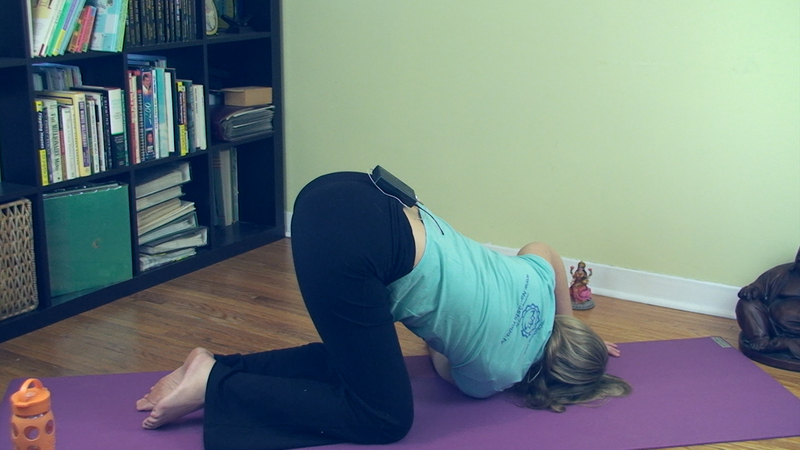 Although the majority of books on chakras and yoga say that there are no postures for the crown chakra, I disagree. The bhagavadgita encourages us to make all our actions in service to the Divine. This hatha yoga, chakra yoga class begins with a guided reflection and meditation on your crown chakra and higher Self and then we do three part breathing on its own and in bridge pose or setu bandhasana. 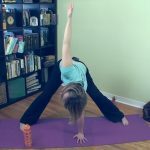 We move into some cat and cow or marjaryasana to release your spine and then lunge pose or anjaneyasana to release your hips. When we come to standing we do some side bending and forward folding. We do some rabbit pose to release the ego and surrender to our higher self. 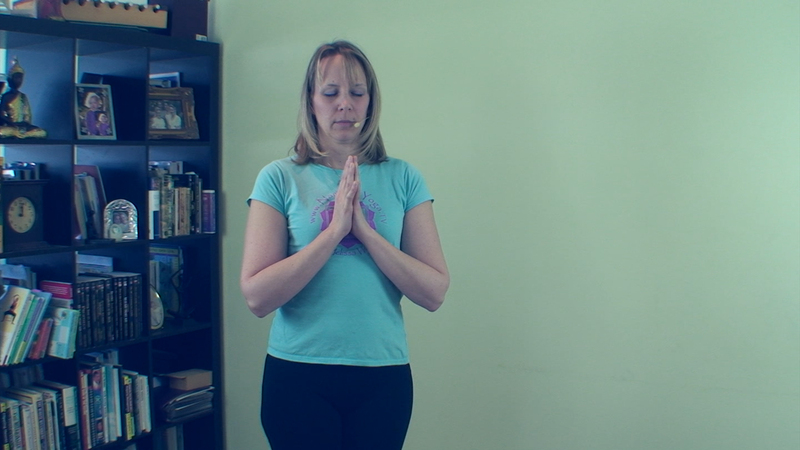 We finish the class with some cow’s face pose and a mudra to connect with your higher self.